Stations: ?, Darlinghurst about 1947 ( Constable ), Canowindra about 1950 ( with 2 sons then had a daughter ), Marrickville, Petersham about 1955. 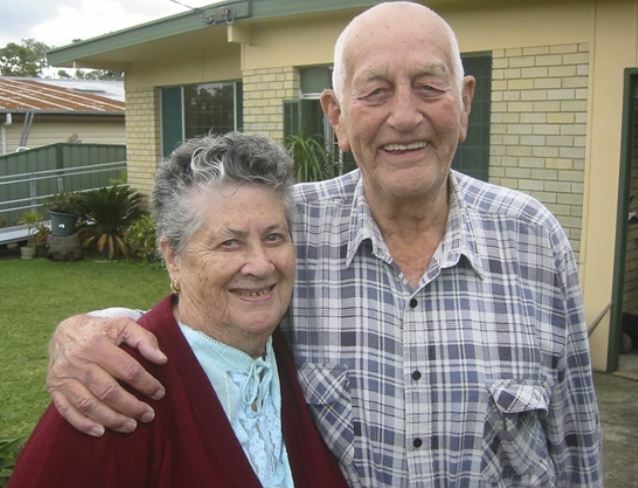 EMPATHY: Myrle and Ken Hauser, of Mannering Park, who will feature in a television documentary on dementia. May you forever Rest In Peace Ken. April 11, 2011, 11:12 a.m.
DAILY life throws plenty of challenges in the path of Myrle and Ken Hauser but the Mannering Park couple take each day as it comes. Mrs Hauser has been Mr Hauser’s carer since about mid-2005, when he developed vascular dementia. Dementia affects thinking, behaviour and the ability to perform everyday tasks. Vascular dementia is the second most common form of dementia, after Alzheimer’s disease, and is associated with problems of circulation of blood to the brain. The Hausers, who have been married for 64 years, will share their story with the nation as part of a television documentary. The Long Goodbye screens on ABC1 tonight at 8.30pm. ‘‘It’s what the story says it is,’’ Mrs Hauser said. Director Kaye Harrison filmed the Hausers and two other families over three years. ‘‘I think with dementia, people can become very isolated … from the community, their workplace, their friends,’’ she said. She hopes the audience will empathise, and anyone in a similar situation feel they are not alone.